Who's murdering harmless old men? Who's poisoning the Patrician? As autumn fogs hold Ankh-Morpork in their grip, the City Watch has to track down a murderer who can't be seen. It's not as if the Watch hasn't got problems of its own. There's a werewolf suffering from Pre-Lunar Tension, Corporal Nobbs is hob-nobbing with the nobs, and there's something really strange about the new dwarf recruit, especially his earrings and eyeshadow. Browse more novels of Discworld. ©1996 Terry and Lyn Pratchett (P)1999 Isis Publishing Ltd. I love the discworld novels, especially any that involve the Watch. Unfortunately, when they pulled the audio from the cds for this no one bothered to check the quality. There are dead spaces where the cds move from one track to another and some of these are in the middle of a sentence. I've listened to about 20 Discworld books so far, and they are all excellent. I've rated them all 5 stars. This one, though, is one of my favorites from the 20. The reason is that, while it is as hilarious and well written as the others, aspects of the plot in this one strike me as being much deeper and more interesting to contemplate -- predestination vs. free will, for example. 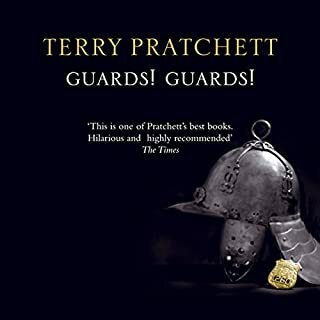 Also, for those who have read Discworld books, I suggest you don't let that deter you from listening to them with Nigel Planar narrating. He adds a whole new dimension himself. 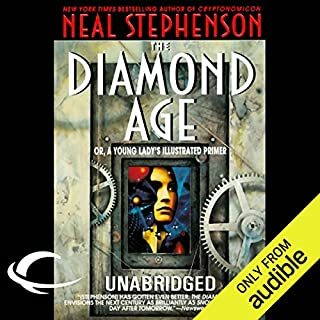 Nigel Planar's narration and Terry Pratchett's writing is a match made by, well . . . the gods. All of Terry Pratchett's books are great fun to read. I would recommend the book with the caveat that the audio recording leaves much to be desired. It is almost like the recording is ripped from CDs with fade in/out turned on at the end of each track. Anything with Angua in it. Do you think Feet of Clay needs a follow-up book? Why or why not? There are already lots of followup books. 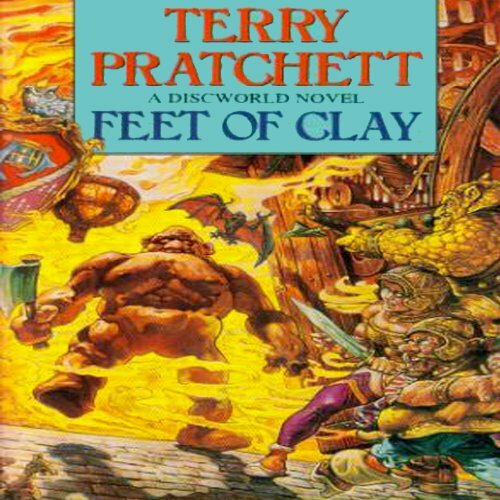 This is the third novel in the City Watch subseries of Terry Pratchett's DiscWorld series. 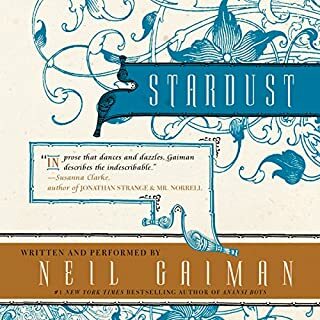 I first enjoyed this book in its written form, but it was well worth experiencing it as an audiobook as well. I find that I appreciate many of the more subtle nuances of Terry Pratchett's novels when I hear them read aloud, and this book was no exception. A+! What can I say? This is excellent, part of the Watch series of Dicsworld books I love so much. I've read this one over and over and it gets better every time. Oh, yes. Well written and fun. Not my favorite, prefer Steven Briggs. Also fun to read, completely difference experience. Very entertaining, but some minor audio issues. The audio was a bit wobbly in a few places. but the story and narrator made it worth moving past those issues. It’s Terry Pratchett’s Discworld. It’s Sam Vimes. Anyone who’s read any of the other books has likely already been sold on this one based on past performances. 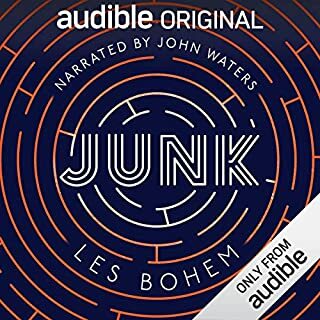 In my opinion, one of the best author, narrator combinations on audible. I never get tired of Pratchett, and Planers narration is out of this world!! While this is not Pratchett's best work, that is like saying that you won "only a few million dollars" in the lottary. As always, Pratchett delivers a witty, thoughtful narrative in the finest discworld tradition. I would prefer the narration to be done in a more subtle manner. 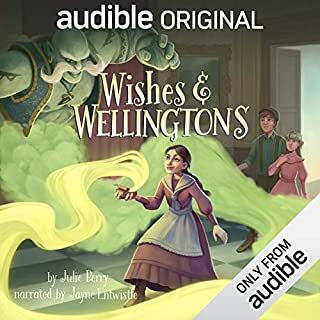 Poor narration of Drumnott, poor narration of Willikins. It makes them sound a bit stupid and slow witted. Willikins can kill a man with sharpened pennies, sewn into a hat brim, and in this story he sounds like a plodding halfwit. And no justice is done to poor old Drumnott either. 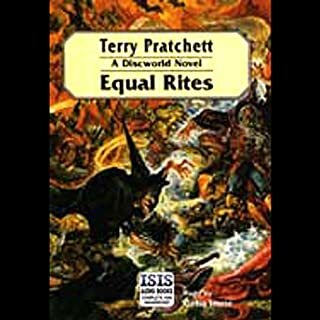 As lover of Discworld novels, and respect for Sit Terry Pratchett, I believe that the narration has to reflect the carracter. It will always be very good source material. The narrator just need to do these beloved characters justice. Thank you.